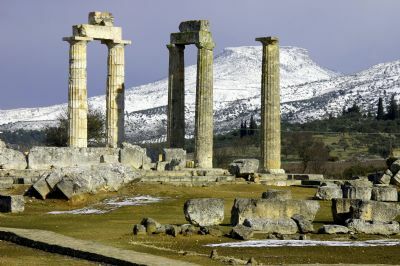 Nemea is an ancient site located in the northeastern part of the Peloponnese, in Greece. Formerly part of the territory of Cleonae in Argolis, it is today part of the prefecture of Corinthia. 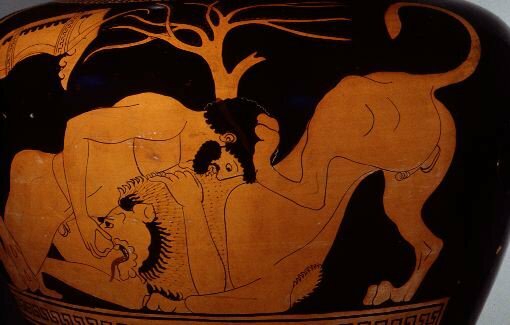 The small village of Ancient Nemea is a great archaeological site, while the new town of Nemea lies to the west.Here in Greek mythology Heracles overcame the Nemean Lion of the Lady Hera. THE LEON NEMEIOS (or Nemean lion) was a large lion, whose hide was impervious to weapons, which plagued the district of Nemea in the Argolis. King Eurystheus commanded Herakles to destroy the beast as the first of his twelve Labours. The hero cornered the lion in its cave and seizing it by the neck wrestled it to death. He then skinned its hide to make a lion-skin cape, one of his most distinctive attributes. 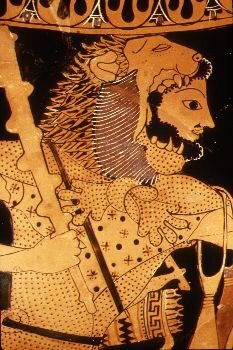 Hera afterwards placed the lion amongst the stars as the constellation Leo.The myths says that the famous Nemean Games were played in honour of Hercules in three sequence, ending about 235 BCE. Nemea has an ancient winegrowing history evidenced by the use of the local Agiorgitiko grape which has roots from the Fliasion wine of Nemea one of the most famous wines of ancient times. The wine of Fliasion became popular in antiquity due to its widespread consumption during the ancient Nemean Games that attracted crowds from various areas. The Agiorgitiko wine entered the twentieth first century accompanied by a broad reputation and great credentials. The variety's versatility has seen it spread across Greece and to other warm growing regions, but the best wine made from only this grape is in the higher altitude vineyards of Nemea. Here, the semi-mountainous vineyards between 1350ft (450m) and 2000ft (650m) allow full ripeness of flavor with sufficient acidity and structure to allow the wines to age gracefully.